The Entrepreneurial Innovation Community has many partners who provide valuable resources and access to information that helps entrepreneurs succeed. The Island County Economic Development Council fosters economic balance that preserves the county’s rural character while providing business, employment, and quality of life opportunities for its residents. Located on Whidbey Island, Langley Washington is commonly referred to as The Village by the Sea. If you are doing business in Langley, or just exploring the idea of opening a business in Langley, please know that the City appreciates that your success is essential to sustaining a viable community. 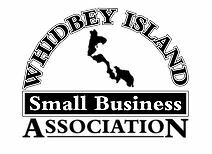 The Whidbey Island Small Business Association (WISBA) was created for the welfare of small businesses, so they may have a combined voice, which they would not have individually. They give small and family run businesses, as well as freelancers and contractors, the voice they deserve,and empower them and allow them to prosper because they are the backbone and foundation of the economical stability of the community. The San Juan Economic Development Council wants to strengthen and diversify their economy. They believe a strong economy builds a stronger community. The Anacortes Chamber of Commerce has an aim to make Anacortes the most livable and economically vibrant waterfront community in the Pacific Northwest. The City of Anacortes is dedicated to enhancing and expanding the economic and business climate of the City. Our goal is to preserve Anacortes as an attractive place to live and work. Mount Vernon is one of the fastest growing cities in the northwest and the largest city in Skagit County. The city is committed to maintaining a business friendly environment and a standard for quality of life for its citizens. Sedro-Woolley works to supply services and opportunities that create a community where people can chose to live, work and play. Sedro-Woolley is a city where government and citizens work together to achieve a prosperous, safe community. The Economic Development Association of Skagit County (EDASC) works to advance Skagit County¹s economy and enhance its quality of life through the creation and promotion of healthy businesses and good jobs. EDASC provides comprehensive support services to Skagit-located businesses, and works with prospective investors on site location, workforce training, identifying incentives and access to capital, permitting, research, and other forms of assistance. The Port of Anacortes offers something for tourists, locals, and businessmen. Large and small businesses relocate close to the area of the port, forming what is Anacortes. The port contains an airport and ferry station, making travel to Alaska, Canada, then Pacific Rim, and other locations much more accessible to those who wish to use it. The Mount Vernon Chamber of Commerce we serves and promotes its members and proactively encourages economic growth. They support members by providing information, training, advocacy and networking. The Port of Skagit leads efforts to build a strong economy in Skagit County while valuing the area’s natural assets and quality of life. The Sedro-Woolley Chamber of Commerce works hard to fulfill its mission of partnering with the community to promote business. Skagit County makes it their priority to be recognized as a premier county in Washington State for providing professional leadership, operational excellence, timely assistance, and maximum efficiency in service delivery to our customers. Since its founding in 1926, Skagit Valley College has been respected as a leader in providing access to higher education, therefor enhancing economic development, and encouraging cultural enrichment. Learns from diverse backgrounds can expand their opportunities to better themselves and their communities. Situated adjacent to Interstate 5 and convenient to the Seattle metropolitan area, Arlington offers industrial, commercial and retail zoning in close proximity to family-oriented residential areas. The city boasts a high jobs-to-population ratio (2.2 jobs per residence), and is home to a wide variety of aerospace, manufacturing, construction and green technology enterprises. As economies shift and the population changes, the rivers, rocks, trees and mountains persevere. Today, as before, people come to Darrington to dream, explore, form families, communities, and find somewhere in between the past and the future that is today. Snohomish is a city with sprawling vistas and a rich history. Nestled along the Snohomish River, Snohomish is home to large companies and small businesses thriving in industries such as food, wine and coffee, along with retail, aviation and weddings. The city of Lynnwood is located just 16 miles north of Seattle and minutes from ferries, mountains, wineries, casinos and more, Lynnwood is the ideal gateway to everything the North Puget Sound has to offer. The third largest city in Snohomish County, Edmonds has many characteristics: a growing economic base, diverse marketplace, excellent school system, and outstanding quality of life that make it an excellent location to locate, start or grow a business. Everett is an important part of the evolving Central Puget Sound metropolitan area and an important urban concentration on its own. Everett has several advantages for businesses such as an excellent transportation system, an international seaport, tremendous quality of life resources and an attractive business climate. Marysville is the second-largest city in Snohomish County, with a population of more than 62,000 and growing. The city pf Monroe is a lively and active community best known as home of the bustling Evergreen State Fairgrounds and Evergreen Speedway. The Economic Alliance Snohomish County has a mission to be the spark for economic vitality. Through a commitment to growth, they want the region to benefit from stronger communities, expanded educational opportunities, improved infrastructure, and job creation. Edmonds Community College strengthens the diverse community by assisting students in reaching education and career opportunities. They encourage success, innovation, service, and lifelong learning. Everett Community College strives to educate, equip, and inspire each student. They believe that by making students successful, they are creating a better world. They specialize in helping every student achieve personal and professional goals, in turn contributing to their communities. Advanced Manufacturing Training & Education Center (AMTEC) offers state-of-the-art training toward short, stackable certifications and certificates that build to college degrees and a pathway to family wage jobs in manufacturing industry. Through operation of its international shipping terminals, public marina and real estate development, the Port of Everett brings jobs, business and tourism to our community and region. Port activities support more than 35,000 jobs in the region. Along with this, the Port of Everett is also a committed steward of the environment and waterfront. Snohomish County provides streamlined planning and permitting processes and a suite of custom services to fast track your business needs. Whether starting up, expanding, or relocating, Snohomish County has all the parts in place for your business to grow and prosper. The Community Foundation seeks to be a catalyst for change in Snohomish County. We promote charitable giving and strive to create community impact through our grantmaking. We also offer training and workshops to local nonprofits to help improve their effectiveness and to improve the impact of grantmaking for our donors. The Snohomish County Makers are a group of hobbyist, entrepreneurs, artists, mad-scientists, hackers, geeks, and other technologically savvy persons interested in creating. They are a 501(c)(3) non-profit corporation and have a local “MakerSpace” collaborative workshop equipped with with modern tools. 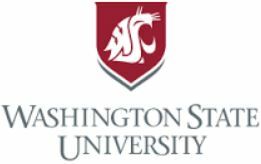 WSU North Puget Sound at Everett is student- and community-centered, bringing industry-aligned undergraduate programs to the North Puget Sound region to prepare students to compete globally in the local economy. Whether you’re an entrepreneur just starting out, an experienced business owner or a manager, Sno-Isle Libraries has services to help you save time and money. Think of them as your partner on the road to success. They are a library district committed to being a partner in the economic growth of Snohomish and Island counties. The Bellingham/Whatcom Chamber of Commerce and Industry is involved in many issues that affect your business in Bellingham/Whatcom County. A strong Chamber means a stronger business community, planned economic growth, and a sustained quality of life. The Chamber’s Core Competencies align with its business activities. Bellingham Technical College is a leading educational institution, and the only technical college, in northwest Washington State. BTC offers high-quality education in a supportive, student-first environment and has been providing skills-focused education to thousands of local and regional students since 1957. On the shores of Bellingham Bay with Mount Baker as its backdrop, Bellingham is the last major city before the Washington coastline meets the Canadian border. Bellingham is at the center of a uniquely picturesque area offering a rich variety of recreational, cultural, educational and economic activities. The fundamental goal of Lynden’s citizens and decision-makers is to sustain Lynden for future generations. The provision of attractive housing affordable to all ages and incomes, and addressing the diverse needs of the population are part of Lynden’s mission for the future. Being good stewards of the environment and the economy are essential to preserving the city’s sense of community, security and its unique identity. Blessed with beautiful surroundings and community-minded residents, Lynden has much to offer, whether you’re looking for a place to visit or relocate. The Port of Bellingham has a mission to meet the essential transportation and economic development needs of the region. They fulfill that goal while giving leadership to the county’s economic vitality through programs, facilities, and services. Western Washington University protects local and global ecology, upholds equity, creates economic vitality, and maintains human health. Whatcom Community College contributes to the vitality of its communities by providing quality education in academic transfer, professional-technical, and lifelong learning, preparing students for active citizenship in a global society. Whatcom is an innovative college, engaged with our diverse and changing communities. To help accomplish the goal of improving the economy of Whatcom County, the EDI Program will provide financing for “public facilities” through very low interest loans, grants or a combination of both. WTIA is dedicated to informing and motivate industry, education and government professionals, collaborating productively in building the education systems, physical infrastructure, and business climate, and ensure that our region continues as one of the world’s most influential technology hubs.